Turn Off the Lights launch a new Mac app that is 24,99$ for the first month and later it will be 49,99$. You can watch your videos, movies that is coming from the iTunes Store with a glow effect around app. It’s a sophisticated media player with its simple design and easy-to-use controls, Aurora Player makes everything you watch even more enjoyable. Its clean, uncluttered interface never gets in the way of what you’re watching. It has an option to change the blur size, the object size of the glow, color effect around the video player, player theme to Classic, Jungle, Schoolbord, Wild West, Kids, option to change the glow effect to Gaussian Blur, Honeycomb Glass, Ribbed Opaque Glass, The Eighties, Gloom, Black & White Dot Screen, CMYK Halftone, Comic Effect, Mirror Glass Palace, Blue Effect Tonal, Gray Effect Tonal, Vibrance. And for the player there is an option to play automatically the video when open a media file. Aurora Player supports the following file types on your Mac computer. Aurora Player is compatible with MacBook, MacBook Air, MacBook Pro, Mac Mini, iMac, and Mac Pro. The app is compatible with the OS X Yosemite and the latest OS X El Capitan. This app is available now as a download from the Mac App Store. This app support 17 languages inside this includes English, Arabic, German, Spanish, French, Greeks, Hungarian, Italian, Dutch, Polish, Japanese, Portugese, Russian, Serbian, Turkish, Chinese Simplified, Chinese Taiwan. The app is for those who wants to have a different video player and a more enjoyable video player that can play outside the video frame. Then the regular video player such as iTunes, QuickTime movie player, VLC Media Player. In this next generation video player app you can play also your online YouTube videos from the internet. The team of Aurora Player include Stefan Van Damme, lead developer of this project. Know from the most popular Turn Off the Lights browser extension that is available for Google Chrome, Safari, Firefox, Opera and Maxthon. Since 2009 available online, where it dims the web page and highlight automatically the video player. 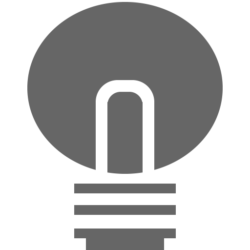 The Atmosphere Lighting is one of the most used feature in the Turn Off the Lights browser extension. For the users that love this feature have we created this stand-alone video player app for the Mac.